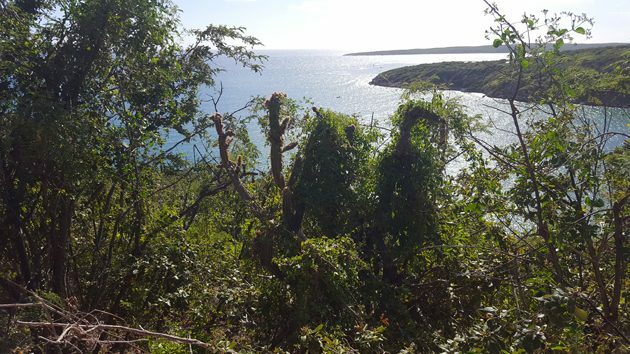 It was early afternoon when Mike and I arrived at Bosque Estatal de Guanica, the large dry forest reserve on the south coast of Puerto Rico. We had three target birds to find there though two of them likely wouldn’t be findable until after dark. But the one we could find during daylight, the Puerto Rican Lizard-Cuckoo, was a bird we couldn’t miss if we wanted to get all of the endemics and Guanica is supposed to be the best place for them on the island. (The Puerto Rican Screech Owl and the Puerto Rican Nightjar would have to wait until dark.) Not only that but the lizard-cuckoo is a stunner of a bird, or at least that is what we were told. 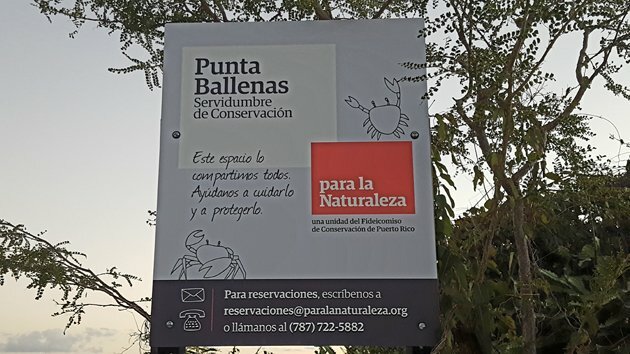 We knew that somewhere along the road we were on, 333, which runs along the southern edge of the reserve, between it and the sea, was a path called Ballena, which would take us through really good habitat to the park headquarters. What we didn’t know is what the trail looked like. So we picked a likely looking trail that seemed like it was busy with other hikers and started hiking. It turned out to be the wrong trail but we were alright with that as we quickly found our first Adelaide’s Warbler of the trip. 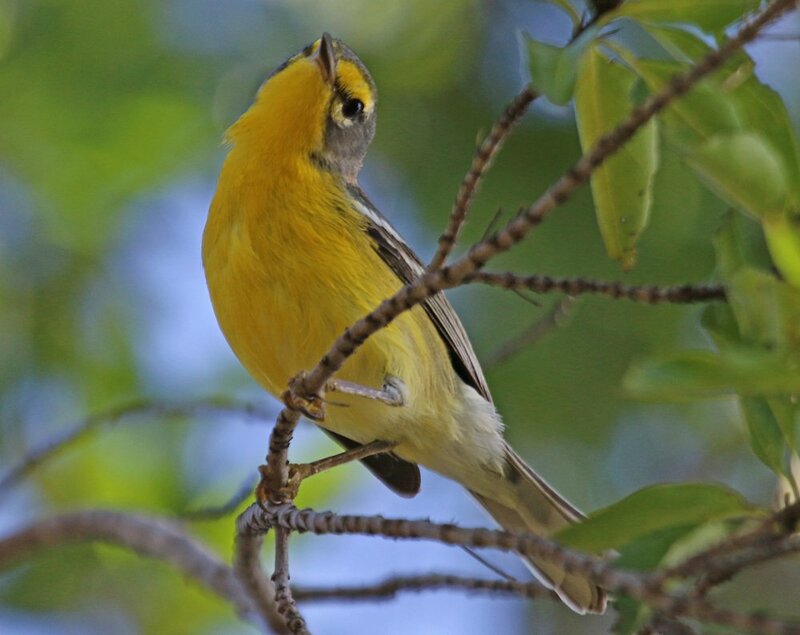 This endemic wood-warbler is a real stunner, bright yellow with a facial pattern reminiscent of a combination of Prairie Warbler and Blackburnian Warbler. 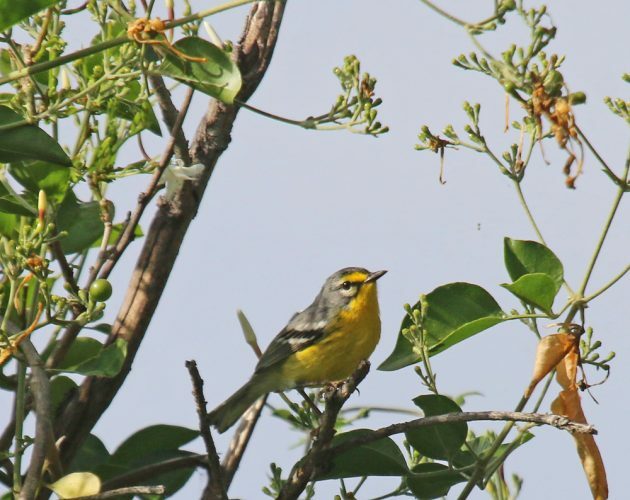 We quickly became familiar with their song and soon realized that they were everywhere! It didn’t matter how many times we saw them. We did not tire of Adelaide’s Warbler! In addition the wood-warbler we were almost always within sight or sound of Bananaquits, which get seriously frustrating when you are hoping to see other species. 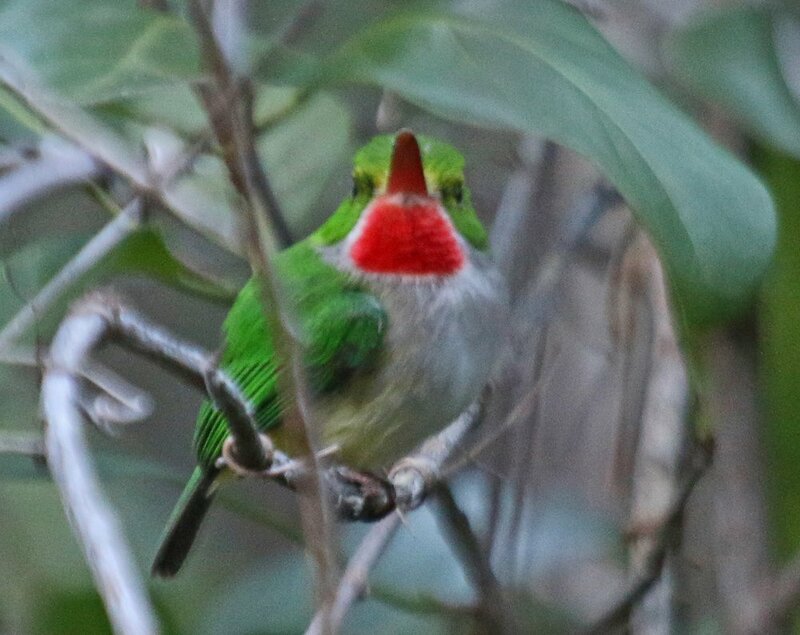 Also common in Guanica was the Puerto Rican Tody, a couple of which kind of cooperated for photographs. I will never grow tired of seeing todies. Eventually we reached the trail’s destination to discover we had inadvertently hiked to an old fort which had a marvelous view. Mike and I desperately tried to turn the Royal Terns we could see over the ocean into tropicbirds but had no luck. Similarly, the Turkey Vultures stayed Turkey Vultures. We headed back downslope to the car and continued on with our exploration, eventually finding our way to a mangrove-lined lagoon on a side road to the right. This was the Punta Ballena conservation easement. Here we found our only Black-bellied Plovers of the trip. Not that we paid them much mind as we were busy enjoying our first Venezuelan Troupials. 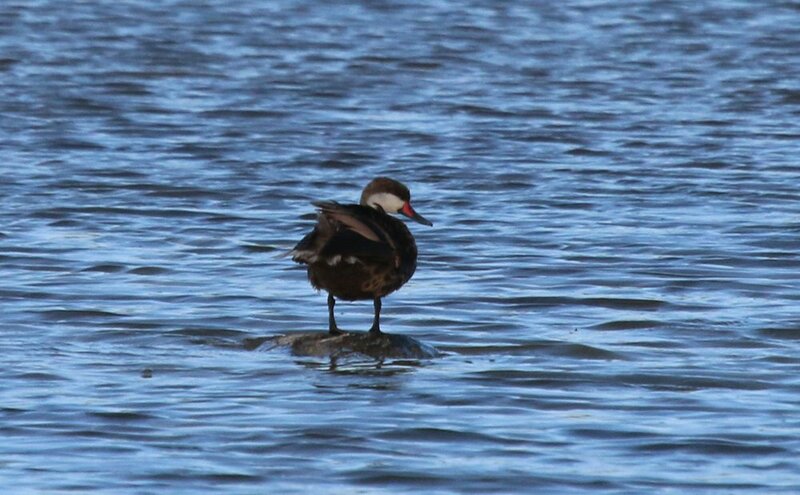 These introduced stunners were themselves quickly forgotten when we spotted a trio of White-cheeked Pintails, our first and, unknown to us at the time, our last of the trip. Sadly, this was the best shot I managed of a pintail this trip. After our brief stop at the lagoon we continued east on 333 until we reached a trail that was clearly marked “Ballena.” This was the trail we wanted! Sadly, it was getting close to dusk so we quick hiked as much as we could while still stopping to look at and listen to birds that crossed our path. Eventually we heard a lizard-cuckoo but we couldn’t entice it to come out into the open. Disgruntled and worried about the impending darkness, we retraced our steps. Wait! That bird, moving there in that tree! That thing is big! Long bird with a long tail…oh. Darn. 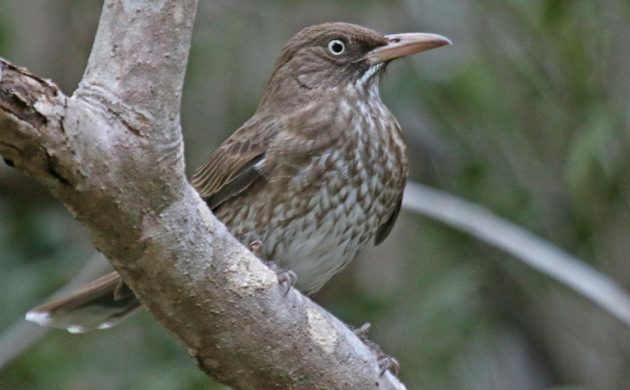 It’s a Pearly-eyed Thrasher. Pearly-eyed Thrashers are nice birds but not when you are hoping for a lizard-cuckoo. Now even more crushed and worried about the potential for missing the lizard-cuckoo at the best sight, we stumbled down the trail. At this point we had been driving or birding for twelve straight hours on very little sleep and not much food either. Our spirits were at a low ebb. A Puerto Rican Tody did its best to cheer us up but we refused to take the bait. We needed a lizard-cuckoo! Then, up ahead of us, the rattling call of the lizard cuckoo. 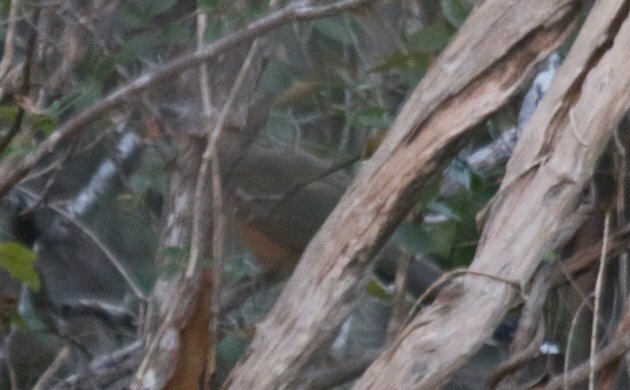 Could we manage to see this bird? We crept down the trail, pausing whenever it called. Eventually, it stopped calling. I tried tape and it responded from ahead of us. Then another bird responded from behind us. We were surrounded! But we couldn’t see either of them! Fortunately, tape was no longer needed as the two birds were now interested in defending turf from each other. They each called again and then I caught a flash of movement. I got Mike on the spot where the movement was and, yes! We saw the red around the eye! The looks were horrific, the few photos I got barely recognizable as a bird, but we didn’t dip! Puerto Rican Lizard-Cuckoo, check! If you squint and turn your head to the left you can kind of make out that there is a lizard-cuckoo in this image with its back to you, looking left. Our footsteps, so heavy and plodding moments before, were now light as air as we made our way back to the car. We saw a lizard-cuckoo! We weren’t doomed! Amazingly, we heard a nightjar almost as soon as darkness fell. And then another. We never saw one but we heard a third a ways up the road. 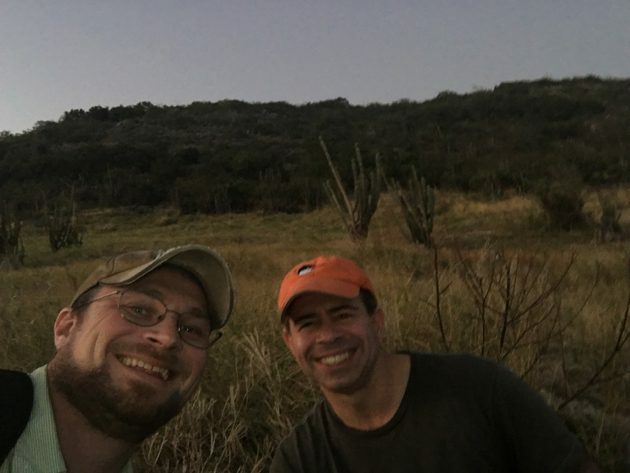 Three Puerto Rican Nightjars within fifteen minutes! Yes! Even more amazingly, we couldn’t find a darned Puerto Rican Screech-Owl. These birds are supposed to be widespread and common but we had no luck whatsoever. Eventually, tired but pretty happy with our success for the day, we called off the birding and headed to our digs in Parguera, which would be our headquarters for the next two nights. This is the second in a series of posts about Mike and Corey’s self-guided trip to Puerto Rico from 14-18 January 2017. (You can find the first here.) Make sure to come back soon for the next installment. Sorry, I thought the Lizard-cuckoo was just a bit clearer in you squint..and look to the right! Awesome trip gentlemen, thanks for the report. Hope I can follow in your foot steps sooner than later.